The ‘Tallafornia’ sun may have set on Ben Frow’s time at TV3, but the station is still relishing in the former commercial director’s legacy. Frow parted ways with the Ballymount broadcaster in December, leaving a trail of original commissions in his wake. The station kicked 2013 off with its first ever scripted drama, ‘Deception’, a show which has gained more column inches than Frow’s controversial remarks ever could. Next on TV3’s schedule was a new series of ‘Tallafornia’, the ‘Jersey Shore’-inspired reality show developed by former TV3 task man Fintan Maguire. This new series stretched the budget all the way to Santa Ponsa and back, with a new in-studio after-party show designed to keep the ‘Big Brother’ generation from switching to ‘The Late Late Show’. The sensationalistic schedule also made room for serious types in 2013 however, with new six-part series ‘Adoption Stories’ slotting in on a Thursday evening. The show, following people with links to real-life adoption stories, has amassed a viewership of 176,000 in its third week, and shed a light on a contentious issue that is rarely discussed in the Irish media. Series creator Sharon Lawless pitched the original idea of the show to Ben Frow and TV3 about two years ago, in the hope that an Irish broadcaster would take on a show that “nobody else was doing anything about” according to Lawless. “TV3 suggested that I do a two-part series for them, which I did, and that went down really well. So on that basis, we applied for BAI Sound & Vision funding for a full series, and that was commissioned. There was also a lot of interest in it because most people know somebody who is either adopted or who is going through inter-country adoption. “It’s quite a complicated subject, and that had never really been discussed before and it had never really been brought into the public eye – just how difficult it is to trace someone,” says Lawless. Time-friendly and a newsworthy topic, airing just after the Children’s Rights Referendum was passed in Ireland, Lawless was keen to touch on the legal issues as well as the human interest stories. She says: “I didn’t just want to concentrate on people looking for each other because it is wider than that; I wanted to hear the stories of people who had adopted children, the adoptive parents – people tend to forget about them, it’s all about the adopted person meeting their natural parents – so I wanted to do a wide range of stories, that included inter-country adoption. Lawless, at first a novice on adoption stories herself, set about gaining access to interview subjects by contacting local adoption support groups. This, she found, was the ideal way to contact her target people from all sides of adoption, as well as gain an insight into the process of adoption. You take it for granted that you know who you look like in your family, you can look back at photographs and feel you have that lineage, adopted people don’t know until they meet their natural parents "
“Once people were comfortable with that it wasn’t a news item, it wasn’t a big debate thing about it, I heard a lot of stories. They were very willing. I think for a lot of people there wouldn’t have been a platform for them to tell their story,” says Lawless. In the first episode of the series, which aired on January 10, audiences were introduced to Pat Garry, a man from rural Ireland who met the daughter he gave up for adoption nearly 40 years ago. “Through the interview, it was the first time that Pat had actually voiced a lot of things, and because of that he was remembering situations that happened and it was the first time that he had spoken about it and had to articulate it. It meant that he was almost reliving it, and he was quite emotional, which you can see in the programme, because there were things that hadn’t occurred to him,” remembers Lawless. “He went to the house that [his daughter Lucy] was brought up in, to meet her parents, and he was walking through the house and looking around and realised that’s what Lucy had grown up looking at. That was her environment, and then he realised how much he’d actually missed out on. That really hit him during the interview,” adds Lawless. As well as filming Irish-based stories, ‘Adoption Stories’ took Lawless and her team to the UK, the US and Russia. Although every story featured in the show is linked to Ireland, the crew travelled to Russia with couple Orla and Fred who have begun the inter-country adoption process there. “They were on their first trip out to meet officials to be approved for adoption so we went out with them to see their experience. “It was quite a small crew, reflecting the kind of stories that we were doing, and I did a lot of the research as well as the other researchers. I would have gone out and met everybody first of all and had a chat with them. Then, when we go down to actually film, I would do all the interviews. In some cases where we were following a story, we’d have several days with somebody while we were meeting them. Then with some people it was just a couple of days, just with them doing bits and pieces to add a little bit more colour to it,” says Lawless. Producing for her own production company Flawless Films, Lawless began shooting as far back as November 2011, wrapping up in the US in June 2012. Her US trip took her to New Jersey and Pittsburgh. The producer says now is the right time for a show like ‘Adoption Stories’ to have a prime time slot on TV3, as the station has evolved under both Frow and Maguire’s helm. TV3 have proved that they have the right kind of schedule, they don’t just have one tabloid-y audience for ‘Tallafornia’, they have a very wide audience "
“If you look at the schedule that TV3 launched back in the autumn, they still do the ‘Tallafornia’-type programmes, which get a huge audience for them, whether you like it or not, there is a market for ‘Tallafornia’. But lately, they’re doing things like my series, and there’s another one coming up which is on a par with a David Attenborough shoot, about Killarney National Park. “I think their standard of programming has shot up, and with so many new programmes, compared to other broadcasters that are just doing the same old thing day in and day out, they (TV3) are actually taking on difficult and contentious subjects like adoption. They’re also doing a huge amount in-house to a very very very high standard. I just found them a dream to work with to be honest, and I hope that kind of programming continues, because it’s proved that they are doing the right thing, they have the right kind of schedule, they don’t just have one tabloid-y audience for ‘Tallafornia’, they have a very wide audience,” says Lawless. ‘Adoption Stories’, ‘Deception’ and ‘Tallafornia’ will take TV3’s schedule into late February. After that, Frow’s replacement, who is yet to be announced, will be tasked with finding new talent and original formats which match the 176,000 viewers that shows like ‘Adoption Stories’ bring in. 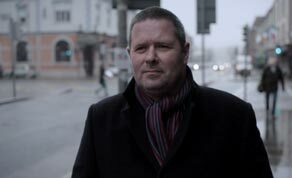 Despite high ratings and a keen interest from the public – “It’s been absolutely incredible, the general public are very surprised at the fact that the law is still dated back to the 1950s, when Ireland was very very different” – according to Lawless, a second six-part series of ‘Adoption Stories’ will have to wait, as the production team gears up to apply for additional BAI funding. In the meantime, the original two-part series is being broadcast on TV3 again from February 21. ‘Adoption Stories’ was produced and directed by Sharon Lawless for Flawless Films. Barry Donnellan was the DoP on set, with Dan Birch, Ray Cross and Conor O’Toole looking after sound. Vinny Beirne edited in post-production at Windmill Lane Studios, with Sarah Caraher the post-production supervisor. Ben Frow commissioned for TV3, with Fintan Maguire overseeing the project. The next episode of ‘Adoption Stories’ airs on TV3 on Thursday at 8.30pm.